Harwell, Oxfordshire, 29th June, 2017. 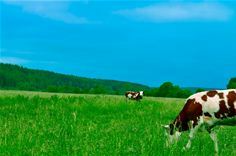 Rezatec, in conjunction with the University of Reading, is delivering its PASQUAL (“Monitoring and prediction of PASture QUALity and productivity from satellites”) project to develop an Earth Observation satellite based pasture farming intelligence tool. Through the analysis of multiple remote sensing satellite data sources (visible and radar) and meteorological data, in combination with the University of Reading’s detailed modelling and data-assimilation techniques, the tool will enable dairy farmers to monitor and predict pasture productivity and quality.